Android is a Linux-based operating system. It is designed for Smartphones and tablets. 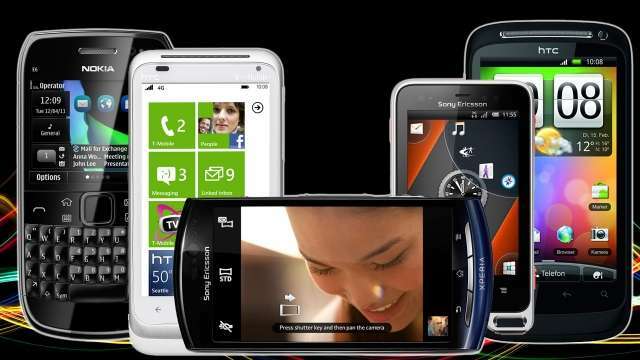 A number of applications can be run on Android phones. The Android phones are mainly popular for their multi-touch technology, applications like barometers, GPS, etc, video calling and multi tasking facility. HTC Desire HD uses Android 2.3.5 which supports features like 4.3- inch gorilla glass, 8 megapixel dual LED flash camera and LCD capacitive touch screen with 16M colours display. The features added are 1GHz MSM8255 Scorpion CPU, Fast boot. It has 768 MB RAM, 1.5 GB internal memory and support external memory of 32 GB. This phone incorporates Dolby Mobile, Sound Retrieval System, DLNA, Adobe Flash 10.2, e-book reader and DivX/Xvid video playback. The huge screen makes internet browsing easier, enables easy game play and better video display. The GPS system is advanced and it gives access to the map with out and data charge. The security features have enabled the user to locate and recover personal data. The HTC Sense online enables user to sent commands to handset. Even if the phone is in silent mode, commands from HTCSense.com will maximise its volume enabling to locate on the map. In short this phone is one of the best user friendly Android. HTC Sensation uses Android 2.3 Gingerbread as OS. This phone was launched in April 2011 by Vodafone. This is the first phone to support HTC Sense 3.0 interface. It has a Dual-core 1.2 GHz Scorpion. It has 8MP dual LED flash camera with 1080p video recording and a front VGA camera. It has an internal memory of 1GB and expandable up to 32GB. It supports all the features available for other HTC phones. The phone includes a Hi-Fi audio with crystal clear sound technology. The glass covers the entire screen which protects the screen from dirt. The HD display and wide screen improves the sensation for watching movies. Xperia Play is a game console Smartphone developed by Sony. It runs on Android 2.3 Gingerbread. This device is PlayStation Certified. Xperia Play is a horizontally sliding phone in which the slider represents the slider of a PSP Go. The slider has all the buttons of PlayStation, a long rectangular touchpad, and other buttons. The device uses 1GHz Qualcomm Snapdragon processor, a Qualcomm Adreno 205 GPU, 5.1 MP LED flash camera. 4inch display, 512 MB RAM, 320MB internal storage. It supports microSD cards. It gives a great gaming experience. It supports most of the games recently released. Xperia Play is a efficient, full featured Smartphone with Google Play where one can choose more than 250,000 applications, most of them free. Another Android Smartphone developed by Sony Ericsson is Xperia arc. The phone was launched in April 2011. Xperia arc has a 4.2 inch capacitive touch screen with a resolution of 854*480 pixels. It has 1GHz Qualcomm Snapdragon processor with 512 MD RAM, HDMI-out and 8.1 MP camera. It has BRAVIA engine and capable of displaying 16M colours. The sleek, slender Xperia Arc is user friendly and its features are amazing. The Sony Exmor R Sensor is included which can take a clear picture even at a very low light. Samsung Galaxy S 4G is one of the best Android phones under Rs 20000 . Galaxy S 4G runs Android 2.2.1 which has faster speed, Wi-Fi hotspot access and a new dial screen. It has a 4inch Super Amoled capacitive touch screen with a display of 480*800 pixel resolution. This phone uses a virtual keyboard which is very user friendly. It has a 5MP camera and 1GHz Processor. Its long lasting battery helps providing long last entertainment. The Swype has enabled super fast text input. 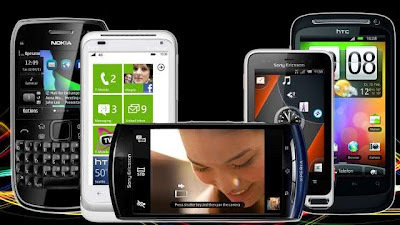 Share your thoughts which do you think is the best Android phone under Rs 25000.